Put aside the disastrous context of this statement of knowledge and its limits – which was an evasive way of avoiding answering a question about the reasons for going to war in Iraq. Call it the power of the Gospel to transform one man’s evasion and dissembling into another man’s illustration and illumination. Out of context, Rumsfeld’s statement is not necessarily off the mark. And if these words provide an accurate description of international diplomacy and military intelligence, then they may also provide an accurate description of God: there are things we know we know about God, things we know we don’t know about God, and there are things we don’t know we don’t know about God. Most of the time, I suspect that many of us assign knowledge of God to only one category: the known unknowns. If you believe in God, this thinking goes, then you take, on faith, that there is much about God that you know you can never know, and you will just have to get used to this. To this way of thinking faith is nearly always confidence in things unseen, and seldom more. And this way of believing in God has become difficult in a society that sees no reason, by and large, that Thomas should not have demanded to see the prints of the nails in Jesus’ hands, and to thrust his hand into Christ’s side. Thomas was only requiring what any thinking person would require. He was only doing his due diligence. And a faith that asks, no, demands, that you simply accept as given, what amounts to a Bible full of known unknowns is a hard faith to swallow in a society that has, after all, been lied to by priests, popes, presidents, and all manner of other supposed figures of authority. On another hand, we are told often that the younger generations are a more demanding, inquisitive, and sensitive lot than we give them credit for. We are told that they have an inchoate capacity and a thirst for the big questions, that they find a ready appeal in the mystical, and that it is the failure of the church to honestly engage these big questions, and to engage things mystical that keeps them at bay. This may be so; I don’t know. If it is, then that would suggest this is a generation of potential believers who are deeply interested in the unknown unknowns – the things we don’t know that we don’t know. And if this is the preoccupation of a younger generation – to wonder about the unknown unknowns - then no wonder they are frustrated. Who wouldn’t be? We must pray for them. In this landscape of faith, it is sometimes forgotten that there are, within the realm of faith, known knowns – the things we know we know. It is about these known knowns that the writer of the Epistle to the Ephesians is speaking when he says, “I pray that… you may know what is the hope to which he has called you, what are the riches of his glorious inheritance among the saints, and what is the immeasurable greatness of his power for us who believe.” Whoever authored this letter is eager to make sure that the known knowns remain things that we Christians know we know. But already in the early church it was apparent that some were preoccupied with the unknowns – both known and unknown. And if was true then, it is even more true now. How many of us can say that we know what is the hope to which Christ has called us, what are the riches of his glorious inheritance among the saints, and what is the immeasurable greatness of his power for us who believe? If I gave you pencil and paper, could you jot down a few answers to these questions now? Are these knowns known to you? Or are they unknown? 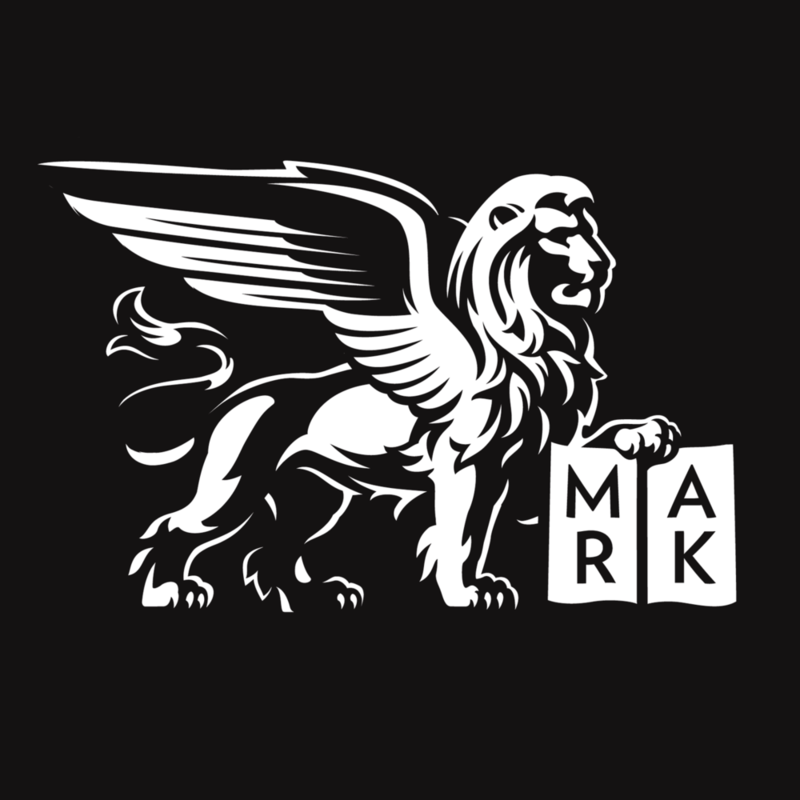 In this case, are these things you suspect that perhaps you should know or could know, but that actually you haven’t got a clue about, but probably that’s because you missed that Sunday, or because you think someone will tell you when you write Saint Mark’s a bigger check? On this Sunday, the church is inviting us to take stock of the known knowns, reminding us that there are things we know we know, and that the list begins with these: what is the hope to which Christ has called you, what are the riches of his glorious inheritance among the saints, and what is the immeasurable greatness of his power for us who believe. First, what is the hope to which Christ called you? The hope to which Christ has called you and me is that God’s purposes will be accomplished in our lives, in the world around us, and in the entire cosmos. The emphasis here is on God’s purposes, quite in contrast to yours, or mine, of Donald Rumsfeld’s, or anyone else’s purposes. We often speak about this hope in the terms that Jesus himself used: describing it as the kingdom of God. The kingdom of God is a kingdom of justice and peace, of righteousness and humility, of beauty and gentleness, of harmony and of love. In the kingdom of God all people live together peaceably, and neither death nor the fear of death has any power over us. We dare to hold on to this hope because Jesus teaches us that the kingdom of God is at hand even when it feels remote, and that we are moving toward it when we serve God and one another in love. And we believe that the decisive argument for this hope was made in the sacrifice of Jesus on the Cross, and in his resurrection from the dead. Neither pain and suffering, nor the power of death could suppress or extinguish his divine and abundant life. This is a known known, as far as Christians are concerned. And so we look forward to Christ’s reign of peace and justice, of love and mercy in our lives and throughout all creation – for this is the hope to which he has called us! Second, what are the riches of his glorious inheritance among the saints? How do you unpack the treasures of the inheritance of Christ? You start with two: the sacraments of Holy Baptism and the Holy Eucharist: the two sacraments given to us by Jesus, and by which he is so closely and regularly known to us to this day. And then you try to map the countless tributaries of grace that have flowed from those two sacraments: the lives of untold disciples, as well as the lives of the apostles and martyrs, the ancient divines, of monks and nuns, and priests and prophets, and generation after generation of the faithful. You map along those tributaries the works accomplished in God’s name, the beauty inspired by God’s gifts, the wisdom sought out by God’s guidance, the learning enabled by God’s enlightenment, the healing brought by gifted hands and minds, the forgiveness sought and given, the justice fought for and upheld, the music made for the beauty of holiness. You see that map laid out like an illuminated manuscript, and you marvel at the artistry and color, the craftsmanship and ingenuity that God has inspired, and that has been carried out in his Name in so many ways and so many places. You recognize that that glorious inheritance is an intellectual, architectural, artistic, spiritual, and deeply personal record that spans thousands of years, and that has embraced innovation and inquiry, and that has been a source of deep wisdom. And you see that as long as God calls his church together to be baptized in his Spirit, and fed by his Son, to be shaped by his Word and molded by his sacraments, these tributaries of heart and mind and hands – things we know we know - continue to carve pathways for the soul in this world and in the world to come. Third, what is the immeasurable greatness of Christ’s power for us who believe? How do you even look for God’s power in Christ – with a telescope or a microscope, or both? Or do you need a Large Hadron Collider? How do you begin to tally the dimensions of a power that created the galaxies but that is made perfect in weakness? The power of God in Christ has so often and so mistakenly been invoked to serve questionable ends – like crusades, or like the subjugation of women, or like the defense of slavery – that it is easy to be suspicious of it. But the true power of God in Christ is not only the same force that brought all things into being, it is also the power that marched in non-violence for the civil rights of all people, that locates the perfect pattern of faith in a woman whose sacred “yes” established her partnership with God, and the truest expression of which has always been found when one people is delivered from the clutches of an oppressor to find freedom. And it’s that power that dispenses forgiveness and reconciliation in the face of hatred and mistrust; that finds patience in the face of insufferable antagonism; that delivers bravery in the face of tremendous fear; and that shines light of unimaginable brightness into the face of gloomy darkness. The stories of faith we tell – from the story of creation, to the story of the Exodus, to the story of the march to Selma – are told to illustrate this immeasurable power, to remind us that although it exceeds our capacity to measure, the power of God in Christ to save, to restore, to heal, and to redeem is a known known to those of us who believe. So these are the things we know we know: we know what is the hope to which he has called you, we know what are the riches of his glorious inheritance among the saints, and we know what is the immeasurable greatness of his power for us who believe. By contrast, consider dear old Joseph, who did not even know what he did not know. How could the ways of God have been anything to him but unknowns – both known and unknown. But Joseph is dropped into the story of salvation – about which he may know very little indeed – and asked not only to come along for the ride, but to make sure the ride happens. At every turn, the things Joseph thinks he knows – about how the world works, about what it means to be a good and decent man, about the importance of a stable home-life for an infant child (no pun intended), about his own meager ability to keep his child and its mother safe in the face of an apparently much more powerful threat – everything Joseph might think he knows is challenged and upended, and he is, instead, asked to pay attention to the angels who visit him in his dreams. The angels come to Joseph because God knows that Joseph cannot possibly know what he, God, is up to; Joseph cannot possibly cope with all the unknowns that he must now confront without help; and Joseph cannot possibly know what wondrous Love, what Power, what Truth he holds cradled in his arms beneath a layer of swaddling clothes. But it seems safe to say that by the time Joseph and his family arrive in Nazareth, he knows in much greater detail what is the hope to which God had called him, what would be the riches of God’s glorious inheritance, and what is the immeasurable greatness of God’s power for those who believe. And this language I find more appealing than his predecessor’s, and it may also help to shed a light on the ways of God with us. For despite all that we know about God, his ways are still a mystery to us. And the full meaning of the birth of his Son, the incarnation of his divine Word remains a mystery to us. And the full depth of his love in the suffering, death, and resurrection of Jesus remains a mystery to us. As mysteries, these remain known unknowns, and maybe even unknown unknowns. But it would seem that God intends for us to live with mysteries that nevertheless contain few if any secrets. Within the mystery of God’s love – always beyond our knowing – there remains so very much that God wants us to know. So much so that he no longer relies only on his angels to visit us in our dreams and entice us with the promise of salvation. In the Word made flesh, God has made known to us what is the hope to which he has called us, what are the riches of his glorious inheritance among the saints, and what is the immeasurable greatness of his power for us who believe. It only remains for us to have the confidence to say that these are known knowns: things we know we know. And to rejoice that God has given us these mysteries of his love that contain so few, if any, secrets. [i] Donald Rumsfeld in a Department of Defense press briefing on 12 Feb 2002. Posted on January 4, 2016 by Sean Mullen.